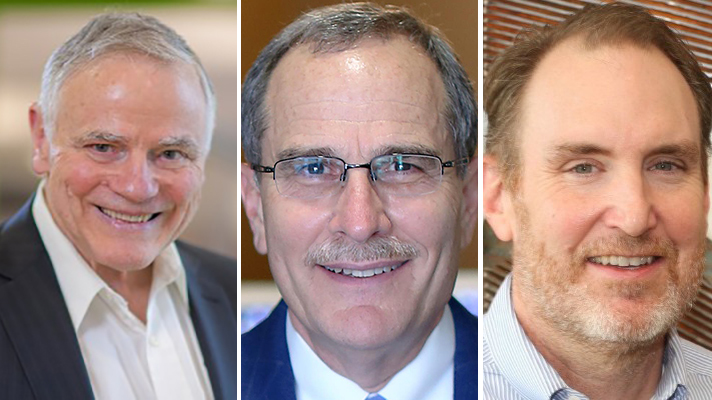 Leroy Hood from Providence St. Joseph Health, Richard Milani from Ochsner Health System and Michael Dulin from University of North Carolina, Charlotte will speak at the Precision Medicine Summit in Washington, D.C. Precision medicine. It’s the future – and it’s actually here already. But as with so many bold visions, precision medicine is not yet ubiquitous in everyday care. Plenty of work remains and, at this point, heading into another of our Precision Medicine Summits, questions persist. Will the next breakthrough come from an EHR maker or garage-bound innovative developers? How can hospitals harness artificial intelligence, cognitive computing and machine learning to advance personalized care? Those are just the technological questions that a range of expert speakers will share insights about during the Precision Medicine Summit, May 17-18, in Washington, DC. Following Milani, speakers will address a range of topics spanning the future of precision medicine, the journey to that state, bridging knowledge and practice gaps, scaling a precision medicine program, reimbursement and the regulatory landscape, ethical issues and a business model for precision medicine and big data. Day 2. Headliner Leroy Hood, MD, Chief Science Officer and Senior Vice President of Providence St. Joseph Health, will share his perspective about how 21st Century medicine will transform healthcare. Speakers throughout the rest of the packed agenda will inform attendees about betting big on precision medicine, putting patients at the center, spotting bad algorithms, precision medicine and the brain, moving genomics into clinical practice, legal issues, and more. Michael Dulin, MD, Director of the Academy for Population Innovation at the University of North Carolina, Charlotte — and a beneficiary of precision medicine tactics himself — will deliver the closing keynote. None of these issues are the type with easy or short answers. Rather, they concern existing EHR technologies that health systems have spent millions on, emerging tools such as artificial intelligence and machine learning for which their use cases are still becoming clearer, ethical issues not yet addressed but sure to arise, and more. Those are all critical pieces to making precision medicine a part of everyday primary care. The Precision Medicine Summit is slated for May 17-18 at the Grand Hyatt in Washington, D.C. Register here.